Dubai, United Arab Emirates, is literally an oasis in the desert. A vibrant, exciting city with a real entrepreneurial attitude. With world class shopping as a draw, it's a very popular destination. There's no shortage of luxury hotels and first class restaurants serving a wide array of international cuisines. The Dubai skyline is world famous with spectacular modern architecture. Great beaches, sunny days and friendly to foreign visitors, it's also one of the world's safest travel destinations. Dubai is a great place to visit any time of the year. The weather is wonderful in winter. 4 & 5 star hotels are a real deal. Roda Al Murooj is our featured hotel this season with a 5 night stay starting at $399 per person. based on double occupancy. This family-friendly Dubai hotel is located in the entertainment district, within a 15-minute walk of Dubai Mall and Burj Khalifa. Dubai International Convention and Exhibition Centre is 1.8 mi (2.8 km) away. Financial Centre Station is 17 minutes by foot and Burj Khalifa - Dubai Mall Station is 18 minutes. This smoke-free hotel features 3 restaurants, an outdoor pool, and 2 bars/lounges. Free WiFi in public areas and free valet parking are also provided. Additionally, a health club, a poolside bar, and 2 coffee shops/cafés are onsite. All 392 individually furnished rooms feature free WiFi and 24-hour room service. Thoughtful touches include bathrobes and slippers, and guests will also find minibars and TVs. 1. To expedite immigration and customs, the U.A.E.offers Smart Gate. US citizens can register by speaking with a border official when entering or exiting the country. ​2. Trade the mega malls, filed with familiar brands, for the Dubai Design District or the new Al Seef heritage area, where colorful boutiques showcase local wares. 3. Instead of spending $27 to $144 to visit observation decks at Burj Khalifa, the world's tallest building, head to its At.mosphere ounce where the sights come with bites. 4. During the holy month, May 16 to June 14 this year, even non Muslim visitors cannot eat or drink in most public places during the day. At night, eateries offer special Ramadan menus. Hotel restaurants are the exception. The truth is, Dubai is less touristy during Ramadan. Tourists are advised to respect the dress code during the holy month and wear modest clothes. For women, shoulders and knees should be covered whereas men can wear knee length shorts or trousers. 5. Dubai is the land of sand. No trip here would be complete without a trip to the desert. 4X4 Desert Adventures and Safaris are very popular. 6. 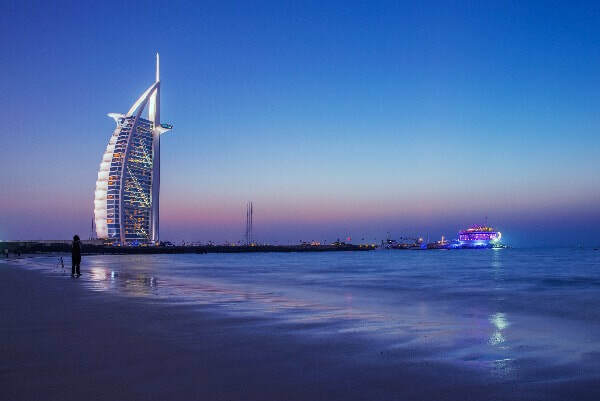 With nearly 500 hotels, Dubai has lots of options both downtown and on the beach. You can stay at 4 and 5 star hotels in Dubai at 3 and 4 star prices in the US. 7. For solo women travelers, some luxury hotels like Dukes and Jumeirah Emirates Towers offer female only floors staffed by women. 8. If the idea of the world's longest zipline appeals to you, then search no further. While not in Dubai it is a 45 minute to an hour trip to Ras Al Khaimah where you'll find this hair raising adventure, the Jebel Jais flight. When you go, I want to hear about it! ​9. Their weekend is Friday and Saturday. If you are a partier, Thursday and Friday are the busiest nights and malls are open until midnight. Some businesses are closed on Friday afternoon. 10. It's probably safer than your home city. Despite unrest in the region, the U.A.E.​ is the second safest country in the world, according to the World Economic Forum. Dubai is very safe compared with other large cities across the globe, and street crime is rare. It’s safe to take taxis at night, and walking around on your own is fine in most areas. The biggest dangers are reckless driving and crossing the street, with many motorists ignoring pedestrian crossings, so heads up!.